Don't fear going to the dentist's office. "It is easier said than done, " you may say? The compassionate professional staff at All smiles in Worth, IL understand your concern and offer cutting edge sedation dentistry that eases patient anxiety. It allows individuals to relax while they undergo anything, from a simple filling to complex reconstructive treatments. Describing dental fears as "discomfort" is an exaggeration in many cases. Symptoms of dental phobia can be as devastating as profuse sweating, shaking, nightmares, and panic attacks. Many times, past bad experiences with dentists or doctors ruin how people view today's health care. It's no wonder and no shame that people avoid the dentist. If you suffer from dental phobia to one degree or other, don't despair or compromise your oral and systemic health. Consult with the team at All Smiles. Drs. Frederick Mueller, Ron Baran, Jianjun Hao and Irene Skirius offer sedation options based on your health and specific need. Options include nitrous oxide, oral conscious sedation, and IV sedation. Based on your medical and pharmaceutical history, your Worth, IL sedation dentist will help you select the medication to put you at ease. Nitrous oxide, or laughing gas, gives patients a light-headed, happy feeling. Some people become rather giddy--thus, the nickname, laughing gas. The Worth, IL sedation dentist administers the gas via nasal mask and regulates it up or down as needed. Afterwards, the sedating effects diminish rapidly, and the patient drives himself home. Oral Conscious Sedation is a fancy term for a tranquilizer taken as a pill. Common drugs include Valium, Versed, Halcion and Ativan. Patients become very sleepy under the influence of these medications, but they still can respond to simple commands. Afterwards, they may have no memory of their procedures, and they require transportation home. 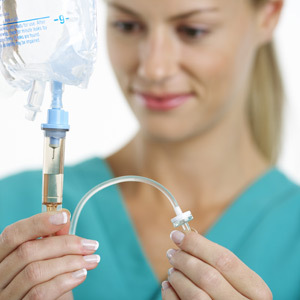 Given through a needle in the arm, IV Sedation is sometimes called "twilight sedation." The patient is very relaxed, fully monitored and can respond the doctor's instructions. After multiple or complex procedures, the individual remembers little or nothing and has a friend or loved one drive him home. Some dental patients call sedation dentistry a "God send" because they get their essential dental care without the paralyzing fear. If you want to relax at the dentist's office, call All Smiles in Worth, IL for a personal consultation today. Phone (708) 448-0333.